Bhatti’s scepticism stems from the way the working plan was prepared and was implemented. The National Working Plan Code mandates that before preparing the working plan for a forest, the department should carry out socio-economic survey of forest dwellers. But the working plan notes that no such survey was conducted. “There is no mention of settlements, grazing land or grazing rights of the Maldharis in the plan. It treats the Banni as if nobody lives there,” says Das. This is crucial because the Maldharis do not have records of their land rights. In 1955 the government declared the Banni a protected forest but is yet to transfer land to the forest department. The land rights of the Maldharis were also not settled before declaring the Banni a protected forest, Das explains. While the working plan was approved by the Union environment ministry in 2010, the Maldharis got to know about it two years later when the forest department began implementing the working plan. 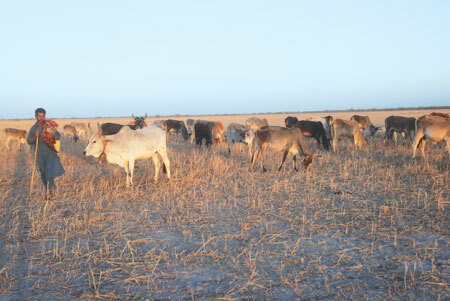 Fearing that the plan would hamper the access to their cattle for open grazing in Banni, the Maldharis resorted to the Forest Rights Act (FRA) of 2006. The Act recognises traditional rights of forest dwellers on forest resources. 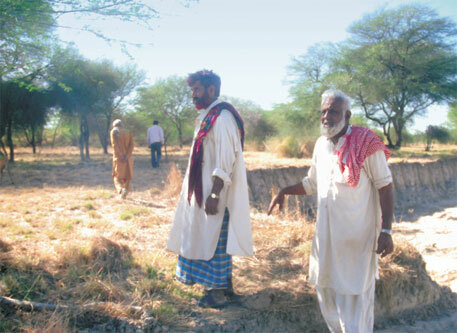 In the first week of February last year, 15 of the 19 village panchayats in Banni sent notices to the state government, asking it to withdraw the working plan and demanding their right to manage the grasslands under FRA. They also threatened to sue the government if it failed to respond to the demand. The state government assured the Maldharis that it would implement FRA after the Assembly elections that were due last year. But there was no order to withdraw the working plan. 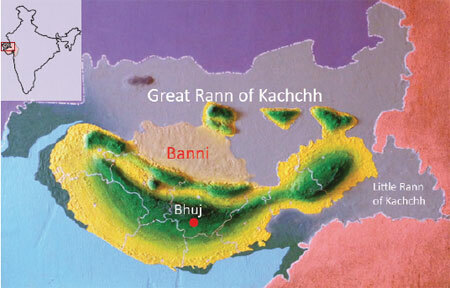 “The department had opened several offices in the Banni. We hear that the government has allocated funds and appointed 60 forest personnel for implementing the working plan. They started some work in Luna village but the residents did not allow them to go ahead,” says Ramzan Halepotra, president of Banni Breeders Association. The working plan has since been kept in abeyance. Forest officials attribute this delay to the reluctance of the revenue department to transfer land. When asked about the Maldharis’ rights over their pasture, a high-ranking forest official in the district told Down To Earth that it is important to implement the working plan to protect the grassland that has decayed due to lack of protection. “The rights of the villagers are not going to be affected. We are ready to offer each family four hectares for cultivation and permit stall-feeding for their cattle. Open grazing, however, will not be allowed as it harms the grassland,” he says.